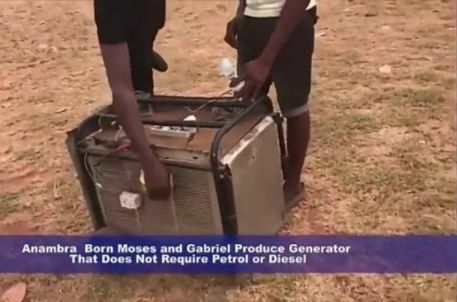 Two Nigerians, who hail from Ekwulobia in Aguata area of Anambra state have manufactured a power generating set which requires neither fuel nor diesel to run. 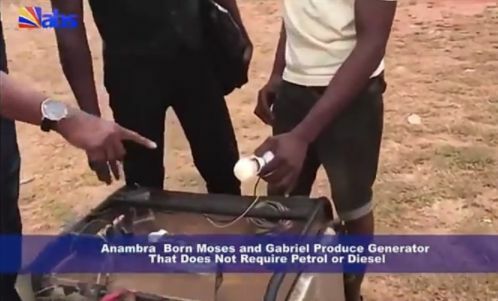 The two men, Messrs Gabriel Obinna and Moses Ezeilegbunam, who identified themselves as technicians, said they were moved to commence invention of the set by the high cost of petrol and epileptic power supply in the country. 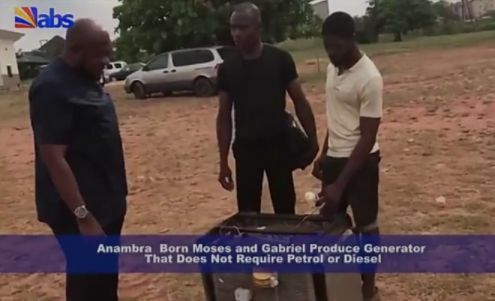 Showcasing their product at the premises of the Anambra Broadcasting Service, ABS, Obinna explained to journalists and other spectators how the generator works. He said the generator had 900 watts capacity and could power a ceiling fan, standing fan, television and a table top refrigerator in one fell swoop and can work for 48 hours, nonstop. Ezeilegbunam on the other hand said the generator is ideal as it hardly requires maintenance, while stating that with government’s support as well as those of affluent individuals in the society, they can construct one that can power air conditioners, refrigerators of all kinds, electric heater, among others. 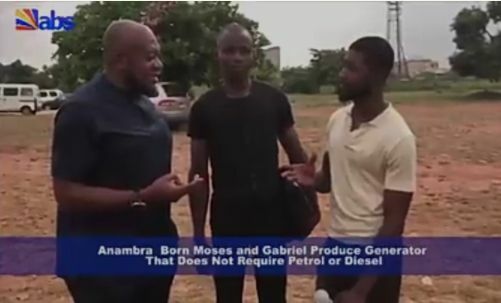 The duo said they intended to produce the generator for commercial quantity, saying that lack of finance was a major challenge to their plan. 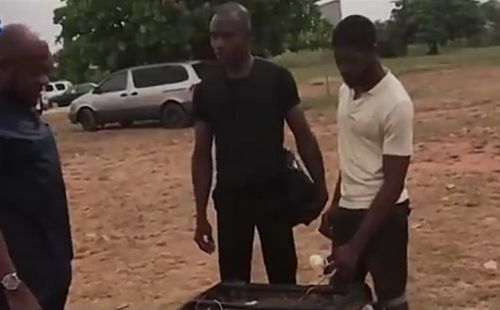 They solicited for support for them to go into mass production, saying that N2 million for a start would aid their invention.